Paleo and baking may appear as antonyms to most, but we’re here to invalidate that belief. It’s possible to indulge in some sweet baked goods sans gluten, grains and refined sugars. 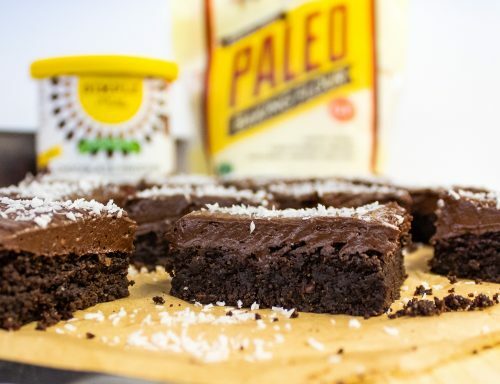 These Classic Paleo Brownies warrant our statement on their own, but we’re diving a bit deeper into the topic. There’s a slew of paleo-friendly recipes featured on our page, but with SO many flours and baking mixes on sale this month we’re exploring all the options that exist for our paleo-following friends. 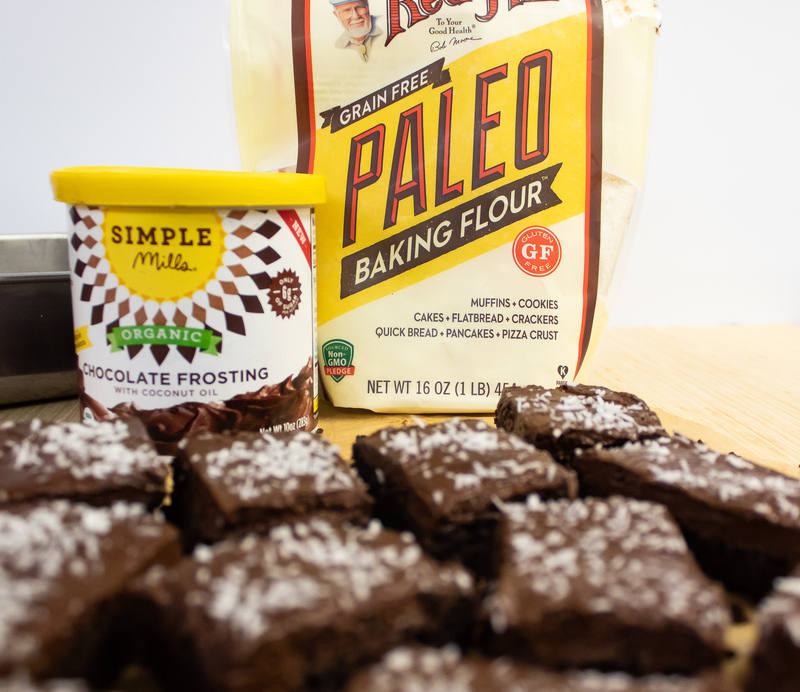 Bob’s Red Mill Paleo Flour Mix – The best stand-alone flour. This dairy-free and grain-free blend contains only 10g of net carbs and is ideal for all of your sweet OR savory baking endeavors. Pamela’s Cassava flour – Also known as yucca, this root flour is great to replace wheat flour in a 1-to-1 ratio for simple baking like cookies, muffins and quick breads. Pamela’s Tigernut flour – Also a root, this can be substituted for wheat flour in a similar way to Cassava. Given it’s sweeter, nuttier profile it’s also a great alternative to Almond flour if trying to avoid nuts in your baking. Pamela’s Nut blend – This is a blend of almonds, coconut, pecans and walnuts. While it doesn’t hold up the best as a stand-alone flour, combined with an All-purpose GF variety, or in place of almond flour for a more complex flavor. Caulipower paleo baking mix – Another 1-to-1 option that can be used in ANY recipe you’re making. With a cauliflower base, this is also a lower-fat option than the others. 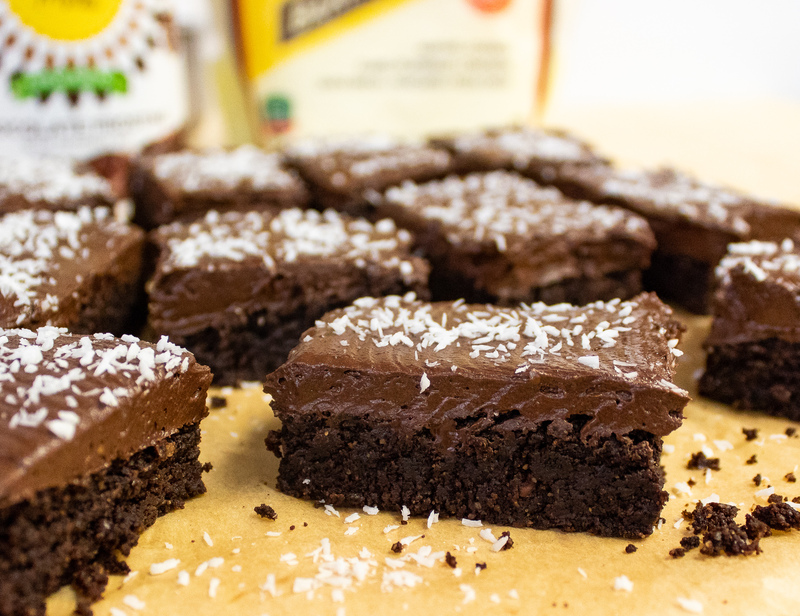 To add to this spread of our paleo-friendly favorites, we whipped up a version of classic fudge brownies. 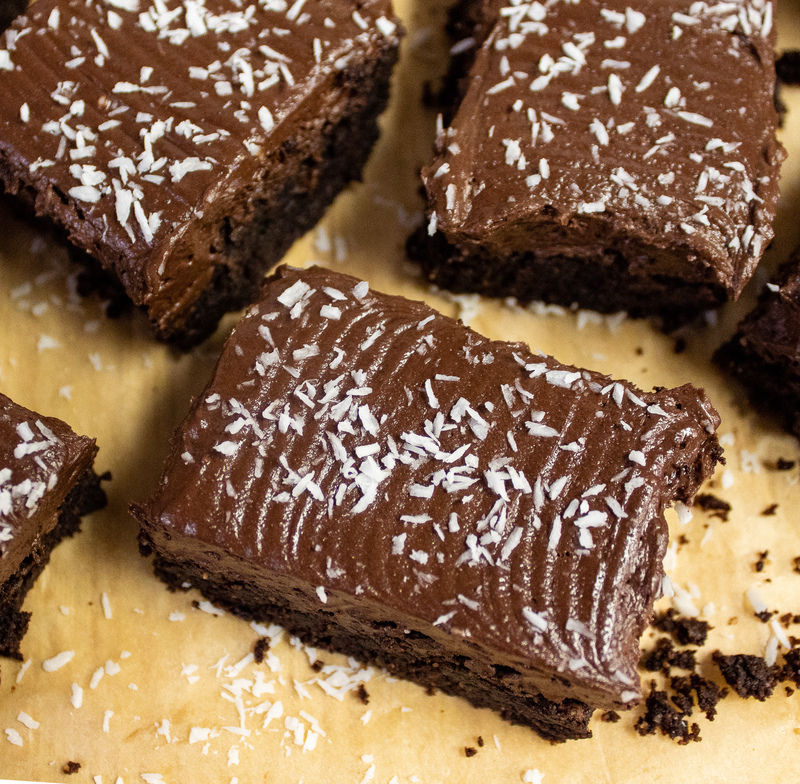 They’re also vegan friendly and easy enough for even our first time paleo bakers. If you try these, or any of our other paleo recipes out, be sure to let us know on social media! Start by preheating your oven to 350 degrees Fahrenheit, then make your flax eggs and set aside to gel. Combine all dry ingredients except the chocolate in a medium sized mixing bowl and sift until uniform. In a smaller bowl, melt your coconut oil then add in the almond butter and vanilla. Pour your flax eggs into the bowl and whisk until combined. Pour your wet ingredients into your dry mix until evenly mixed – the final brownie mix should be on the thicker side. Bake brownies for 25-35, depending on your pan size. A toothpick should come out clean, but they should look slightly undercooked. Let cool completely before topping with frosting or melted chocolate. Cut, serve and enjoy!